At the end of every main mission, players will be given a rank based on their performance during the mission. Players can replay missions at anytime and in some cases its best to go back once you've acquired better gear anyway. 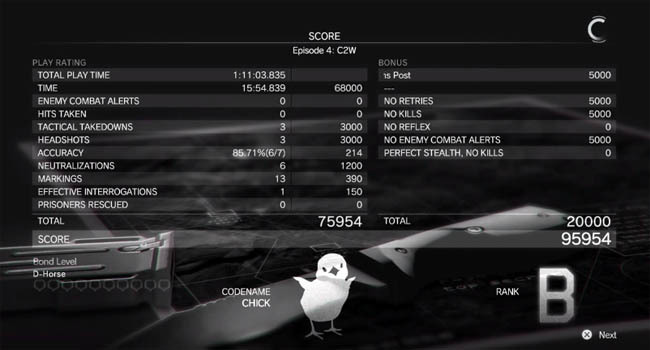 There are also a few other factors that influence the final mission score but these are the main ones. The higher the stealth factor, the higher the score. The higher the score and ranking, the higher the GMP (money) earned. 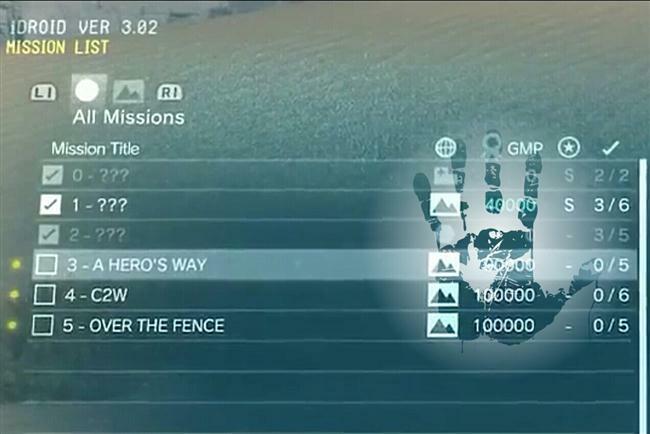 Players should note that the final GMP is reduced based on the amount of GMP you spend during the mission. 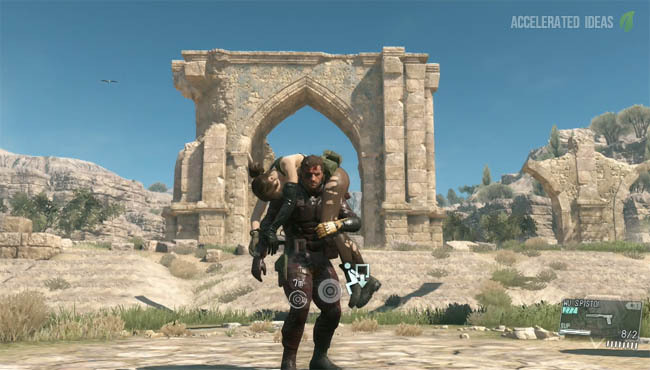 Avoid using Mother Base too often to maximise your GMP rewards - things such as airstrikes will drastically reduce your rewards. Just like Far Cry 4, players are advised to use stealth over offence. Using harmful weapons will alert the enemy and usually result in reinforcements and a full on fight. Tranquillisers and stun weapons are the best choices to maximise your rank and GMP, which in turn can be used to progress your R&D and unlock new non-lethal weapons and equipment. During missions players can complete optional objectives for extra rewards, some of which will be hidden from the objectives screen. After you've completed the mission for the first time, these objectives are revealed, allowing you to go back later and attempt to complete further objectives. Of course its easier second time around because not only do you know the mission but you also know the additional objectives now. 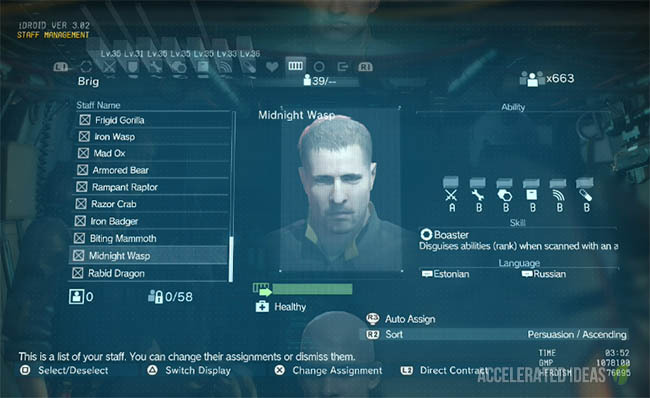 Optional objectives will reward players with things such as cassette tapes, blueprints and specialised staff members for Mother Base.